Emmanuel Ugwu, in Umuahia, looks at last Thursday’s impeachment of the Speaker of Abia State House of Assembly, Martins Azubuike and the drama that played out. It was a case of theatre of the absurd at the Abia State House of Assembly when two new speakers emerged in a spate of 24 hours following the impeachment of the speaker, Hon Martins Azubuike. After he was impeached on Thursday December 29, Azubuike, who represents isiala Ngwa North state constituency, was replaced with Hon Bishop Kennedy Njoku, representing Osisioma North state constituency. As Hon Njoku stepped down he was promptly replaced with Hon Chikwendu Enyinnaya Kanu, who represents Isiala Ngwa South. Kanu the lawmaker he had defeated in the race to replace the impeached speaker, Azubuike. 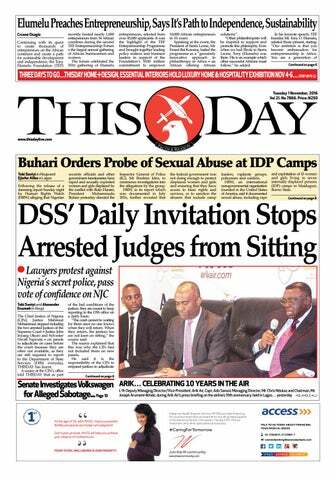 THISDAY gathered that Kanu was the favourite of the state governor, Dr Okezie Ikpeazu to replace the impeached speaker. But the lawmakers overwhelmingly voted in favour of Njoku who polled 16 votes as against three votes that Kanu got. Obviously Governor Ikpeazu was not happy at the outcome of the election for the new speaker hence the turn of events within 24 hours meant that he had exerted his executive influence to swing the wind to his direction. Ikpeazu was billed to present his 2017 appropriation bill to the House and it was unthinkable for him to do so with a speaker he disapproves presiding. Before the seat of the speaker became a swivel chair the sixth session of the Abia State House of Assembly had managed to maintain the ambience of a calm sea for 18 months. But it was deceptive because beneath the supposedly calm surface water a raging undercurrent was flowing and it was just a matter of time before it swept away the Speaker of the Assembly, Rt Hon Martins Azubuike. The lawmaker, who represents Isiala Ngwa North State constituency, lost his grip on the affairs of the Assembly and was impeached on Thursday, December 29. The job was executed by 20 out of the 24 members of the legislature with the deputy speaker, Rt Hon Cosmos Ndukwe, presiding. It was of “urgent pubic importance”, hence the lawmakers could afford to suspend their Christmas break to remove their speaker. 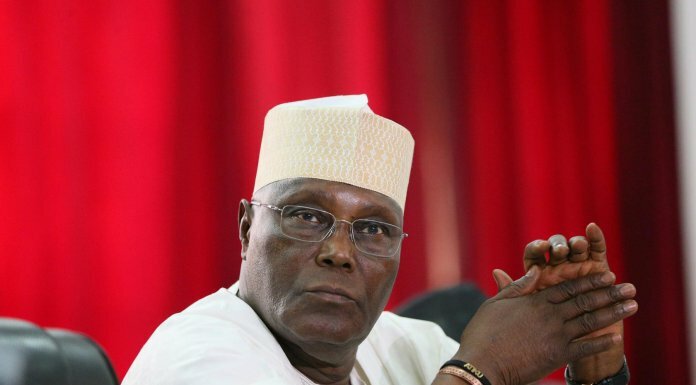 The impeachment cut across party line in the bipartisan legislature composed of 15 lawmakers on the platform of the ruling Peoples Democratic Party (PDP) and nine from the opposition All Progressives Grand Alliance (APGA). Azubuike saw his imminent fall staring him in the face 24 hours before the impeach gale hit him. On December 28, information about the change of guard at the Abia State House of Assembly was rife in town, as the legislators were billed to reconvene for an “emergency plenary session”. It was on the day the state governor was inaugurating the newly elected 17 chairmen of local governments and 292 councillors. But the emergency plenary of the Assembly did not hold as scheduled, perhaps, in deference to the governor’s successful return of democracy to the councils after over nine years. While the public were waiting with bated breath to see what the lawmakers had up their sleeves, the clerk of the Assembly, Mr. John Pedro Irokansi, issued a statement saying that the emergency plenary of the house had been rescheduled for Friday, December 30. But unknown to the public, the lawmakers had decided to bring forward the day of judgement for the speaker. Unlike in previous occasions, when any suggestion of crisis in the house leadership was readily dismissed as rumour, this time the camp of Mr. Speaker admitted that there was fire on the mountain and time was already running. 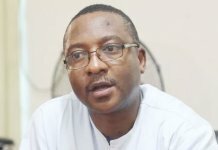 The chief press secretary to the Speaker, Mr. Clinton Uba, said his principal was very much aware of the moves by the lawmakers to impeach him. “We are aware of the plot, it is no longer a rumour,” Uba said, adding that even at that no impeachment notice had been served on the speaker and he had not been informed of any impeachable offence committed. However the spokesman of the embattled speaker told THISDAY that Azubuike was not resting on his oars, as he was already “reaching out” to his fellow lawmakers and other stakeholders, ostensibly, to save is neck. Uba was optimistic that his boss would escape the impeachment, saying, “There is still a window of opportunity to resolve the issue.” Unknown to him, the legislators had already slammed every window shut and there was no escape for the speaker. The drama ensued when the lawmakers arrived at the Assembly on Thursday morning. There was a heated argument as the speaker remonstrated with his colleagues to change their minds about removing him. It was learnt that while the discussions were going on a “brother” of Mr. Speaker swooped on the mace and snatched it. The lawmakers were said to have been peeved over the assault on the symbol of authority and it took a long while before it was returned. However the flaring tempers were already spinning out of control and things got to a head when the speaker lost his cool and snatched the mace himself and made away with it. According to the source, this action by Azubuike was the tipping point in the last ditch efforts to save him. “He lost whatever sympathy that remained for him,” the source said, adding that even those who were already softening their stance made a 360 degree turn around against the speaker. After sealing the fate of their speaker following the failure of the fence-mending meeting, the lawmakers entered the hallowed chamber at 3.36pm. The impeachment proceedings moved at a very fast pace. There was no dissenting voice among the 20 lawmakers, who had signed the impeachment notice and were all present to execute it. Within 15 minutes the speaker was removed and by 3.51pm a “brand new Speaker”, Rt Hon Bishop Kennedy Njoku, took the oath of allegiance and office administered by the clerk of the house. It was the deputy majority leader of the house, Hon Solomon Akpulonu, that moved the motion for the impeachment of the speaker and it was seconded by Hon Ifeanyi Uchendu representing Ohafia South state constituency. In justifying the impeachment motion, the deputy majority leader, who represents Obingwa East state constituency, listed the sins allegedly committed by Azubuike to include “lack of character of transparency and accountability in handling public funds”, insensitivity to the welfare of the members, autocratic style of leadership leading to inequitable distribution of positions in the house, abuse of office and gross misconduct. 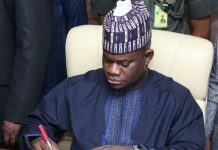 Akpulonu insisted that the listed offences were weighty enough to cost the speaker his position, citing section 92 (2C) of the 1999 Constitution of the Federal Republic of Nigeria (as amended). He added that majority of the legislators had “resolved to and hereby resolve to remove Rt Hon Martins Azubuike as the speaker”. The deputy majority leader further stated that since 20 members had put their signatures to the impeachment notice the house had exceeded the mandatory two-thirds majority needed to effect the removal of the speaker. 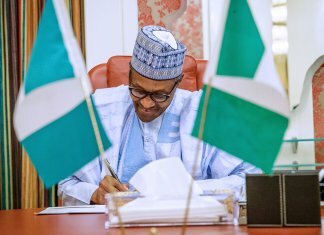 To ensure unanimity of purpose and action he called out the names of the signatories and one by one each of the lawmakers affirmed their signatures. It was then that the deputy speaker of the house, Ndukwe, who presided over the impeachment proceedings, asked and got the consent of the members to accept the impeachment issue as a matter of urgent public importance. He thereafter put the motion to vote and a resounding “Aye” had it. The next issue was the replacement of the sacked speaker. No time was wasted as the clerk of the house informed the lawmakers that there was no provision for acting speaker. He called for nominations from among the members present in order to elect a new speaker. It was obvious that the extant zoning principle in Abia would not be altered, as the position of speakership was zoned to Abia Central. Two nominees emerged, namely Bishop Kennedy Njoku, Osisioma North, and Hon Chikwendu Enyinnaya Kanu, Isiala Ngwa South. Both candidates accepted their nominations and Option A4 was adopted for the voting process to decide who would become the new speaker. Contrary to high speculations that the majority leader, Hon Chinedum Orji, Umuahia Central, was just waiting in the wings to mount the saddle as the new speaker, his name did not even feature as a nominee. 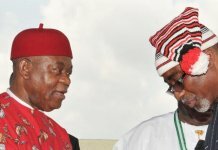 It was a big disappointment for those who had been accusing the majority leader, whose father, Senator Theodore Orji, is the immediate past Abia governor, of plotting to take over the speakership of the house. It turned out that the three votes received by Kanu were the votes by the majority leader and two other lawmakers. Njoku got overwhelming 16 votes from the lawmakers to emerge the new speaker. It was learnt that the governor, Dr Okezie Ikpeazu, who was said to have fallen out with Azubuike and supported his impeachment, was interested in the candidacy of Kanu. But the lawmakers were not on the same page with the governor on the issue of Azubuike’s successor. Even Kanu, the Isiala Ngwa South lawmaker, disappointed those rooting for him by voting against himself. In fact, there were some confused faces glancing at him when he raised his hand in support of Njoku and it was on seeing his hand shooting up for his opponent that the legislators who were to vote for him reluctantly raised their hands in favour of Njoku. Though a host of allegations were levelled against the impeached speaker, THISDAY gathered that the main issue at stake was that Azubuike was “very tight-fisted” in disbursing money to his fellow lawmakers. Their anger against him had been simmering over time. Contrary to the constant denials of rift in the Assembly, it was gathered that on three occasions the aggrieved lawmakers had made moves to remove him but he had always managed to survive due to the interventions of some principal officers, including the majority leader. But at the fourth attempt there was no saving grace for Azubuike, who is in his third term in the house representing Isiala Ngwa North. Akpulonu told newsmen shortly after the impeachment that the lawmakers had been patient with the impeached speaker with the hope that he would change his ways. “We have been warning him (but) he refused to change,” the deputy majority leader said, adding that Azubuike was in the habit of “doing a different thing” after the house had taken a decision on an issue. With the turn of events both Hon Azubuike and Hon Njoku are now leaking their wounds. Njoku is worse off because he was denied the privilege of enjoying the trappings of the office he only occupied for just 24 hours.